Initially the Baade 154 was intended as a 80-108 seater Long range PTL aircraft with four Pirna 018 engines. 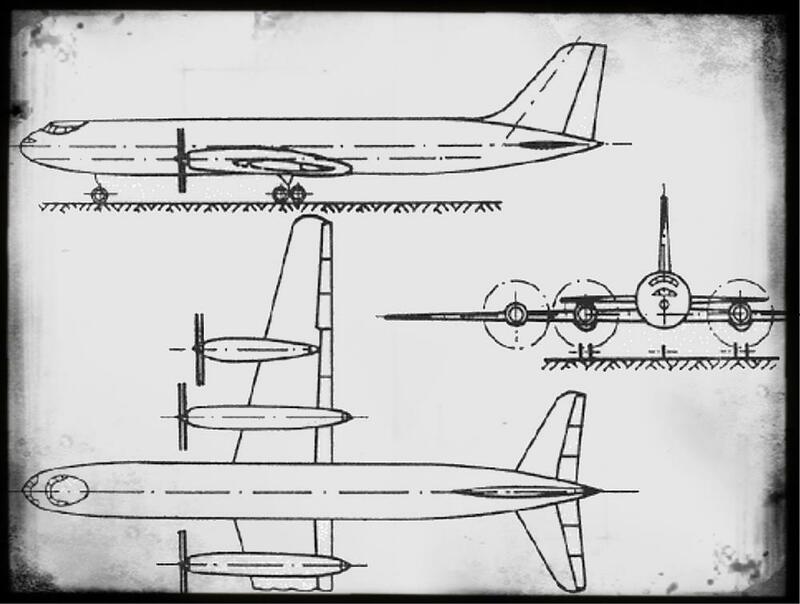 The initial design took over a slightly enlarged Baade 152 fuselage with a 3+3 seat Arrangement per row in a pressurized cabin and a cantilever low wing. The Baade 154 PTL was quite similar to the Illuyshin IL18, which was under development in Russia at the same time. During German/Russian coordination Meeting MAP in October 1955 it was decided to stop the Baade 154 PTL development in advance of the Russian IL18. The Baade 154 Designator was reused in 1957 for a completely new TL aircraft design.